WASHINGTON — President Donald Trump’s lawyer Rudy Giuliani says he has “never said there was no collusion” between Russia and members of Trump’s 2016 White House campaign. Giuliani’s comments night directly contradicted the position of his client, who has repeatedly insisted there was no collusion during his successful White House run. Giuliani himself had previously called the idea of Russian collusion “total fake news.” But as court filings in the last year have detailed ties between Trump aides and Russia, he now appears to have left open the possibility of improper contacts. 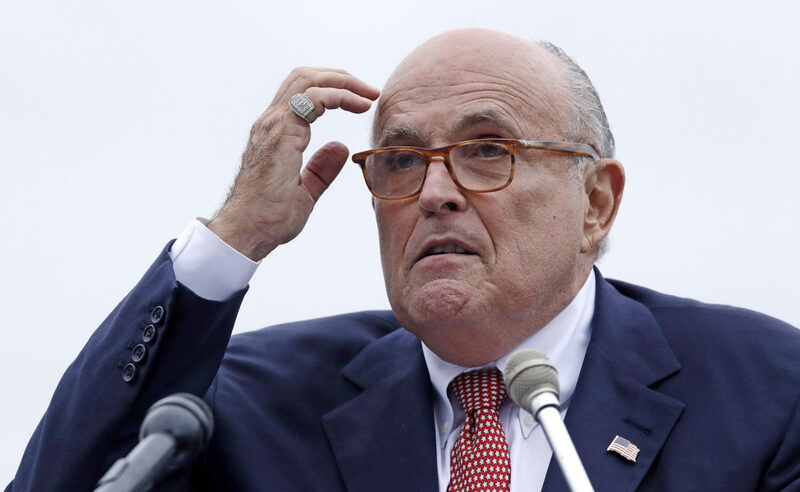 “I never said there was no collusion between the campaign or between people in the campaign,” Giuliani said Wednesday night on CNN. It was not clear whether Giuliani was reflecting a new position or talking point from the Trump legal team or was making a strategic attempt to get ahead of potentially damaging findings from special counsel Robert Mueller, who has been investigating potential coordination between Russia and the president’s campaign. Giuliani said that even if some on the campaign did something wrong, the president was not part of any collusion. The comments on collusion came after Giuliani was reminded of prosecutors’ allegations that former Trump campaign chairman Paul Manafort had lied about sharing campaign polling data with an associate U.S. authorities have tied to Russian intelligence.